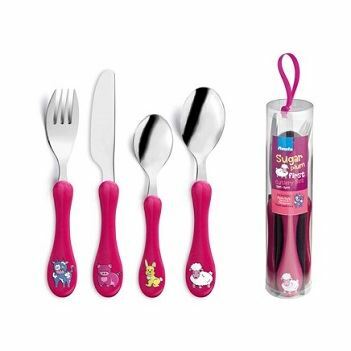 It doesn't take a rocket scientist to work out what kids will love. 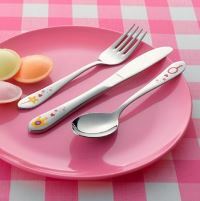 Little hands are quite different and it's not as simple as just scaling down our adult designs. 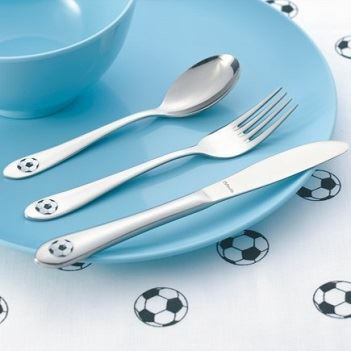 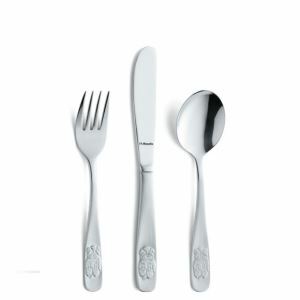 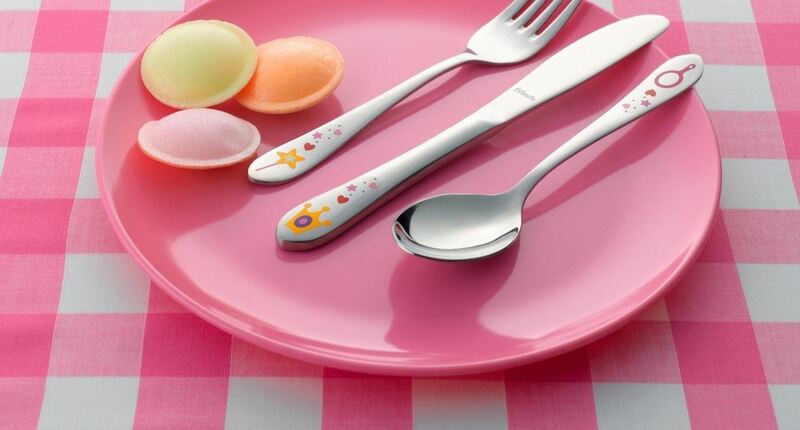 Our ergonomically shaped pieces and unique designs are created to help children of all ages get to grips with the grown-up world of dining. 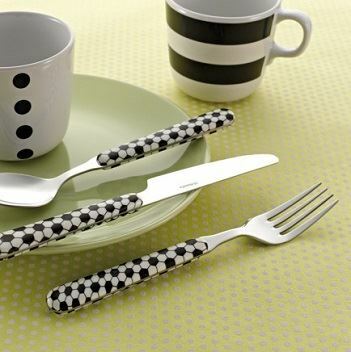 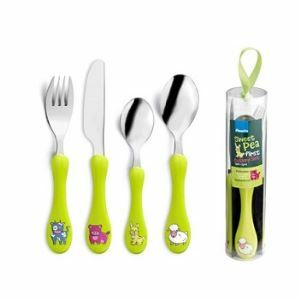 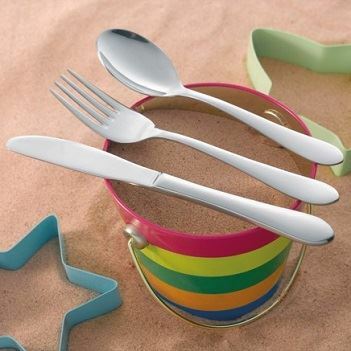 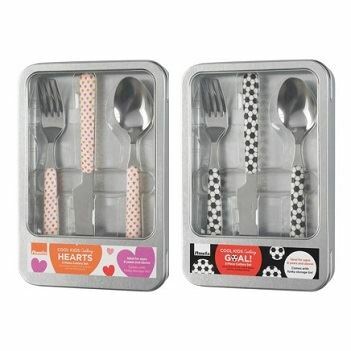 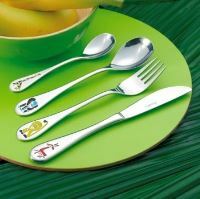 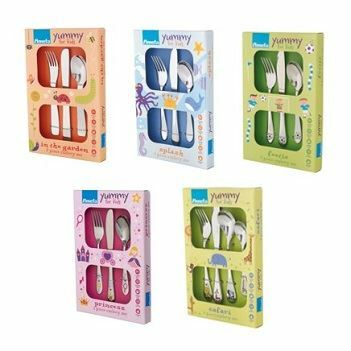 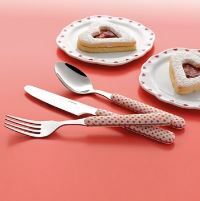 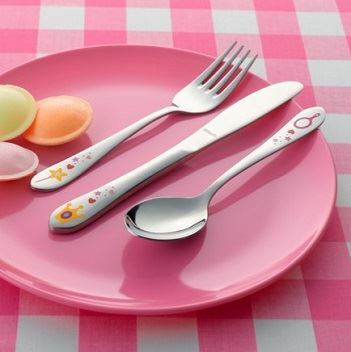 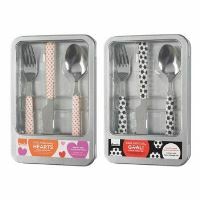 Our cute first cutlery sets educate little ones in a fun way about food, while our funky colourful designs on our older sets will certainly appeal to growing kids. Although we can't promise it will make any of them eat their greens! 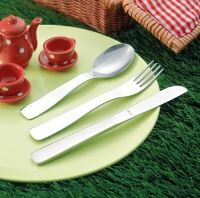 All our Children's sets are made from fine quality 18/0 stainless steel and come with a 25 year guarantee against workmanship and materials. All of the range are dishwasher safe except where stated otherwise.